It seems as if advertisements for kids’ parties are everywhere I go — restaurants, gymnastics studios, the YMCA, hair salons, on and on. 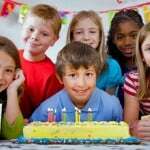 It only makes sense that all of these places want in on the kid party scam; they know they can make a fortune hosting one. While it might be easier to have a party at a “special” venue, that convenience doesn’t come cheap. For a little bit of work on their end, these hosts charge from around $300 to more than $500 for a single event. But it’s simple to throw a child’s party on your own without spending a small fortune. 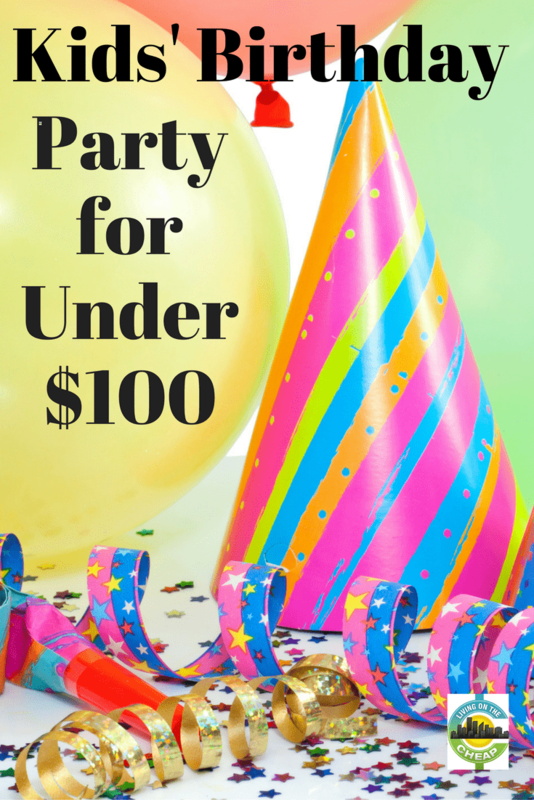 A party your child and guests will love can be easily pulled together for under $100; how much under depends on your specific needs. If you have a good-sized yard or even a garage, your house or perhaps a family members’ home will work fine. Many towns will also let you hold a party at one of their playgrounds or parks for a nominal fee. 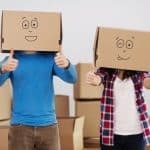 Or if you live in an apartment or condo, check out reserving their recreation room. A bakery cake could easily run you $30-$40 or more. Making it yourself costs just a few dollars. Even if you don’t fancy yourself a from-scratch baker, you can easily doctor up a box-mix by using milk in place of water and adding about one-half cup of sour cream or plain yogurt along with a splash of vanilla to make it moist. Decorating is as easy as coloring your frosting to match the party theme and loading on the sprinkles. Kids love sprinkles. If you are a baker, but don’t feel creative enough to come up with cake ideas, check out Coolest Birthday Cakes or Pinterest. Both are full of ideas and many include step-by-step directions. Or, instead of cake, make cupcakes. Frost them ahead of time and as a party activity, have the kids decorate them with colored sugars and assorted sprinkles. Trust me, they’ll love it. 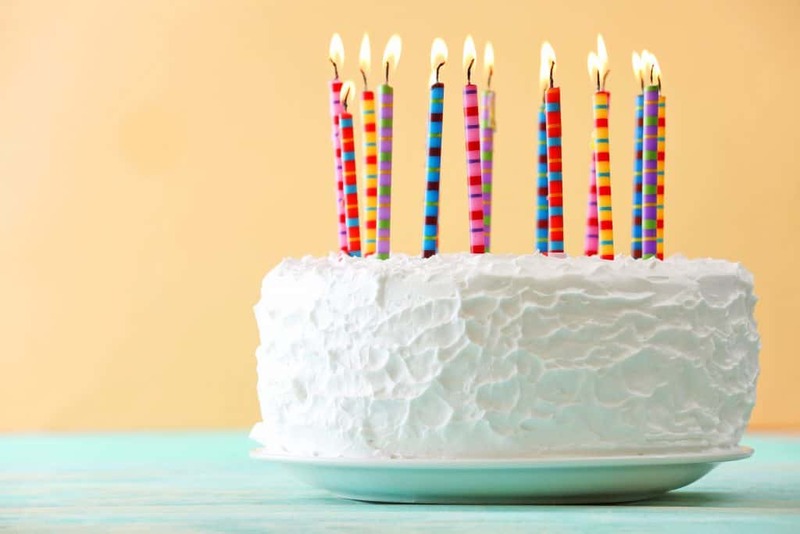 As a final option, since you’re saving so much on the party, you may choose to splurge on a cake and your wallet won’t even notice the difference. 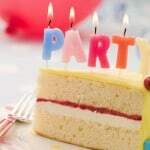 When you hit those party stores, you can easily spend around $5 on every tablecloth and package of eight napkins, plates, cups, utensils, etc., for your theme. That adds up. For my daughter’s recent party, I purchased plain white tablecloths at Walmart for 99 cents each and a large bag of brightly colored plastic-ware at the drug store for $2. Paper goods and party supplies are among the best deals at dollar stores, so be sure to check them out, as well. I then accessorized with some plates and napkins that kept with the party’s theme. To help save even more money, mix and match some plain plates and napkins with some theme-centered ones. I break these into two categories: crafts and games. 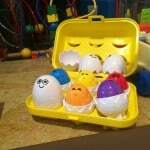 If you’re crafty, the first one’s easy, but you can find plenty of ideas at Spoonful or TLC. 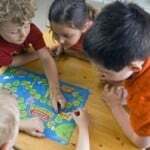 For games, check out Moms Who Think and Birthday Party Ideas. You can also try a spin-off of a traditional game. For my daughter’s Cinderella-themed party last year, we played musical slippers — a play on musical chairs in which each of the girls had to take off one shoe and put it in the middle of a circle the girls walked around. For each round, we took one shoe out of the circle. For an ocean-themed party, try pin the tail on the whale. Combine an activity with a favor — think tie-dye shirts, layered cookie mixes in a jar, embellished flip-flops, small pots in which the children plant seeds — these are all projects that can be done at the party and sent home with guests. 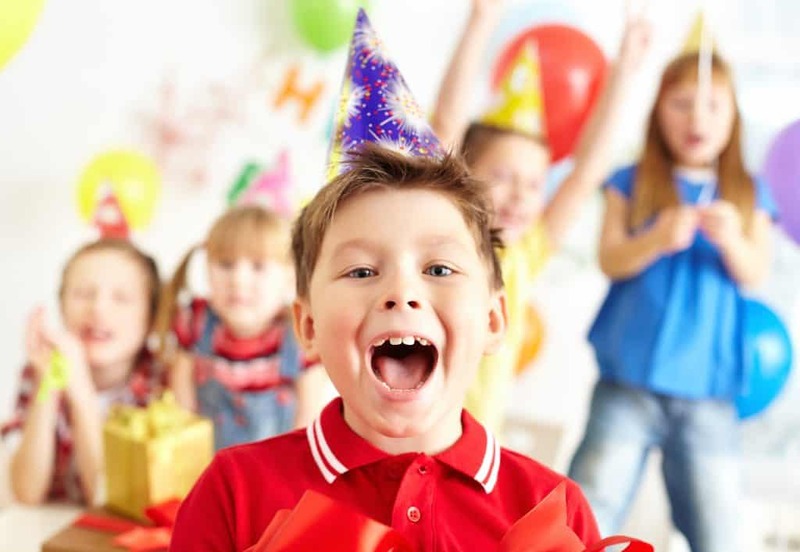 There are also all kinds of simple party favor ideas you can make ahead of time such as ribbon streamers, a party CD of your child’s favorite songs, or homemade play-dough. A few of my favorite places to get inspiration for favors include The Crafty Crow and iVillage. If you want to fill the favor bags a bit more — check out a Michaels, A.C. Moore or similar craft stores. Search the dollar bins for pencils, erasers, notepads, bubbles and more. As your child opens his or her gifts, have the child who gave the gift stand or sit next to him or her. Snap a picture of the two together with the present. This will help keep track of who gave what when it comes time to writing thank-you notes. Then, use the back of the picture as the thank you card or include the picture in a very simple thank you card your child makes instead of buying pricey themed thank-you notes.